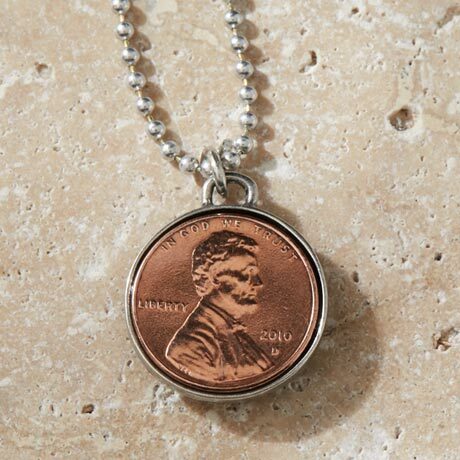 Commemorate births, weddings, the passing of a loved one; all of the special moments in life with a lucky penny necklace. Tell us the year you want (1950 - 2019*) for your penny and we will mount it in a pewter bezel. Comes on a 24" ball chain. 3/4" diameter. Allow 2-4 weeks. No rush delivery or gift box. The year 1965 is not available at this time and the year 2019 will be available on 7.1.19. Item can only be shipped within the Continental US.